Located just outside of downtown Chicago, Bucktown is a creative community bursting with live music, nightlife, incredible eateries, and countless art galleries. With the abundance of culture and opportunity in the area, it’s not surprising that Bucktown is one of Chicago’s most desirable locations. 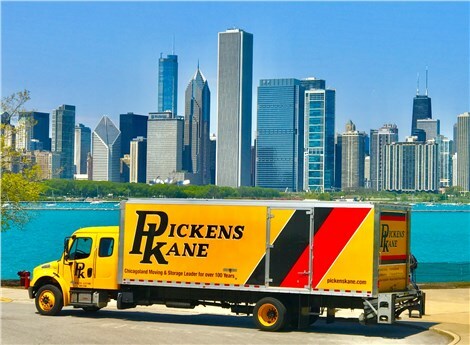 If you’re planning a move to, from, or within Bucktown, there’s no need to hit the web to search for “movers near me,” just contact ProMover-certified Pickens-Kane, the most experienced and trusted local moving company. 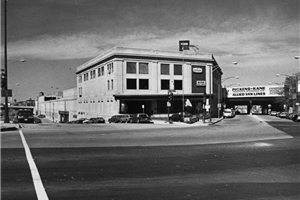 Since our founding in 1914, we’ve garnered a reputation for the highest quality moving services, and we’re proud to be the premier Bucktown movers. For a personal moving experience that exceeds all your expectations, count on Pickens-Kane! No matter how complex or challenging your move may be, the experts at Pickens-Kane have the experience, training, and resources required to ensure a smooth and stress-free relocation. Our agent status with Allied Van Lines connects us with a nationwide network of moving and storage professionals, giving our local, long distance, and interstate movers the ability to complete any move seamlessly. Local Moving: Our experts are intimately familiar with the entirety of the Chicagoland area, including Bucktown, so your local move will be easy and efficient. Apartment Moving: Tight corners, narrow hallways, and multiple flights of stairs are no problem for our highly-skilled moving crews! Long Distance Moving: As an Allied agent, our movers have an immense support network that allows us to complete streamlined moves all over the country. Moving and Storage: Our moving and storage services are secure, affordable, and convenient, and we can customize them to accommodate any need you have. Understandably moving costs are among the top concerns for our customers, which is why we work with you to create a custom moving plan that meets your requirements and your budget. We pride ourselves on being affordable movers in Chicago while offering unparalleled moving services and storage solutions. Call us today to learn more about our moving services in Bucktown and beyond. You can also get moving quotes by completing our convenient online form right now.